On a recent Saturday, a group of Salem College students spent an afternoon at Tanglewood Park in Clemmons gaining greater understanding of nature and themselves. 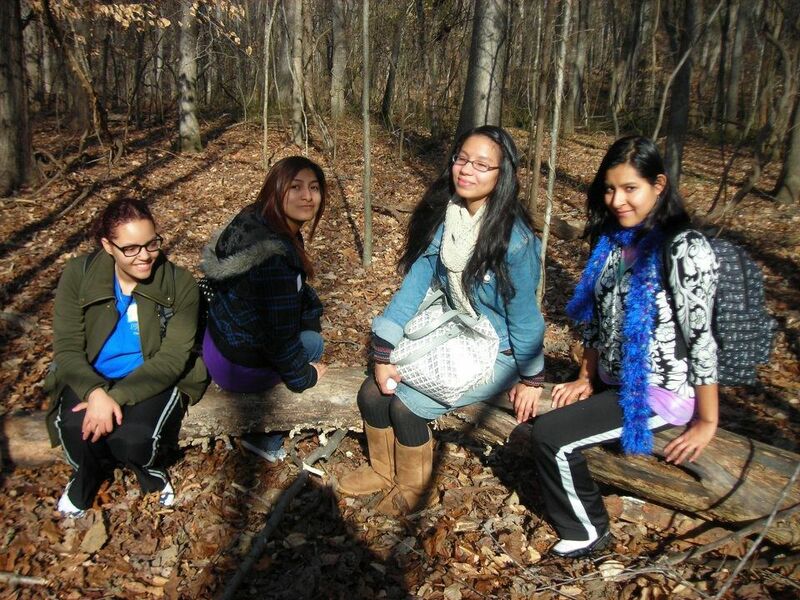 They participated in the college’s Women in Nature (WIN) program, a new initiative from the Dean of Students’ office. In addition to the outdoor programs, Salem chaplain Amy Rio-Anderson will teach a course this spring titled, “Nature and Spirituality,” which will help students explore and understand the role that nature plays in spirituality. The Women in Nature program is a part of Salem’s campus-wide wellness initiative. Wellness at Salem focuses on promoting awareness and education, motivation for positive behavior changes, and influencing campus practices and policy to support a healthy environment.